So I manage to hook up the car to star and it recognized the paddle shifters and it does communicate with the steering column module BUT somehow it does not communicate to the rest of the system. Something is blocking it and the technician is clueless to what to do. Who else that has a 09 c300 made it work here? Any one know what is going-on with this? Chip? I have no clue on that but I will ask those guys on the e-class forum. Let us know if you manage to solve this one. 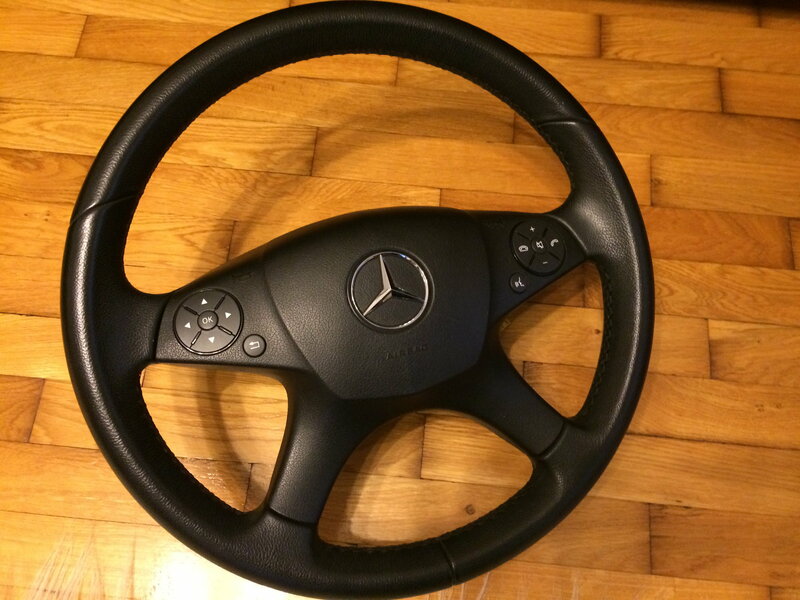 I've also bought a new steering wheel FL W204 and none of the buttons or paddle shifters work. 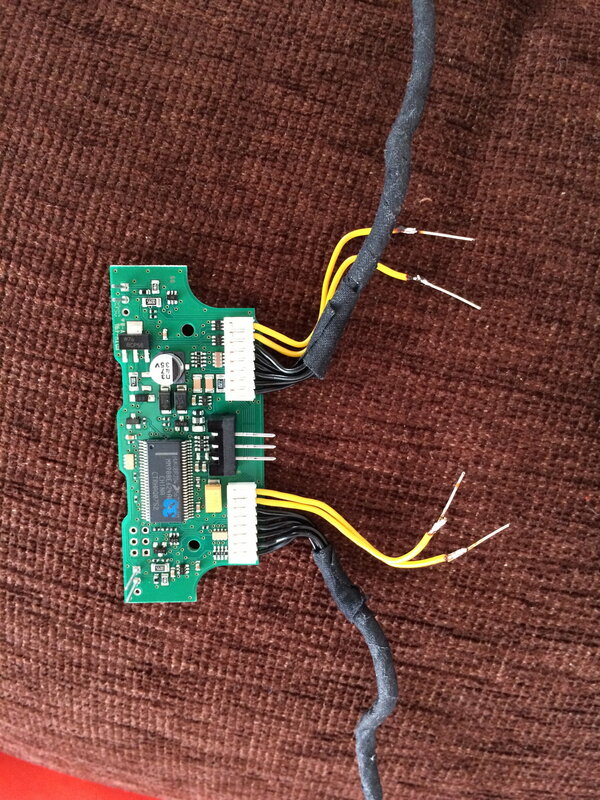 I've tried to change the chip but it does not fit (2 cable harness for the new one and only 1 for the old wheel). 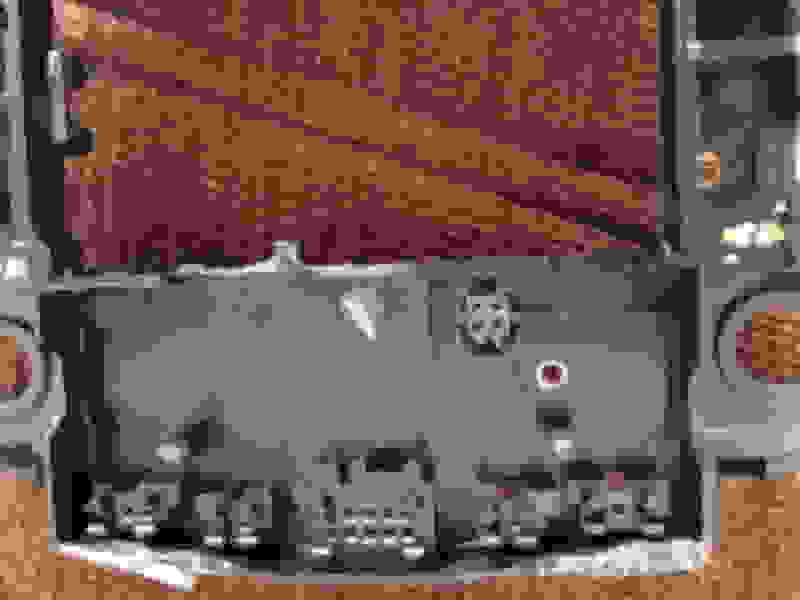 I'm think about STAR coding but I don't know what exactly should do. The last resort is probably to buy a new steering column to match the new wheel. Not the same on w204. Already tried this. See post #25. I've kinda gone away from modding for a bit so haven't revisited this issue. THB I already got used to the steering wheel not lighting up and not such a big deal anymore. But I think only a w212 steering column will fix it or if someone else can figure out how to use xentry or diag to make it work. Also I'm not technically sure why some are having buttons issues. Are you guys buying the same part# I posted in the OP? Last edited by aznmode; 10-10-2014 at 07:54 PM. I took out the new steering wheel after 3 days of figuring out and put it aside for a while. I do not want to scratch the new wheel. From various technicians I talked too I was told I need a code for the option to be turned on. So my hunt is on for a dealership that would do it as local indys cant do it. 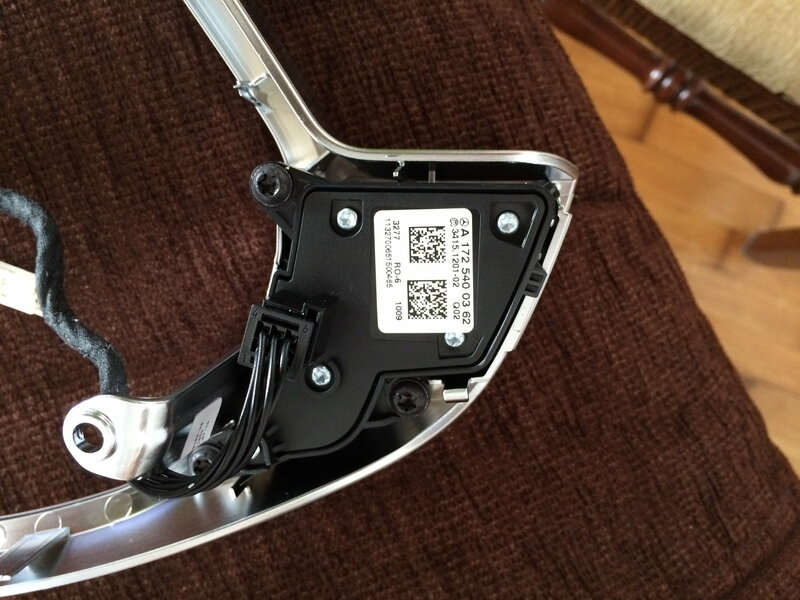 Because I didn't want to change the steering column, it was too expensive ~450$, I swap the chip. 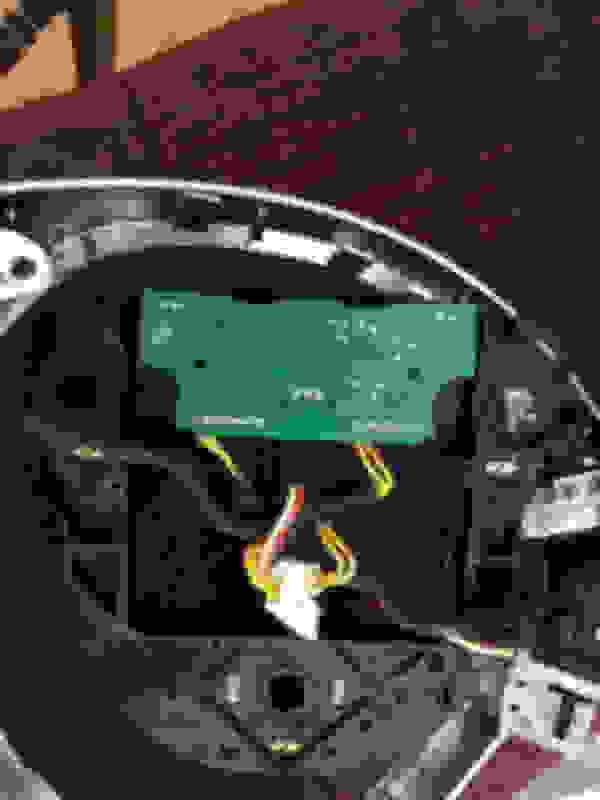 The chip from Old steering wheel is on the airbag and the new one is on the Sw. They have different shapes. 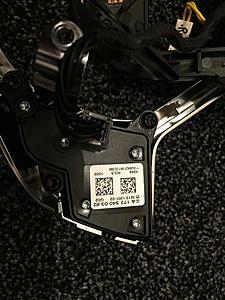 The only things that are in the same place on both chips are the two connectors for paddle shifters and the two plastic connectors that plug into the buttons. I had to cut some plastic parts on new steering wheel to make room for old chip. The four yellow wires are for horn, I cut the connectors and bonded pins on to fit on the holes of the new Sw plastic plate, where the chip was fitted. There is no need to connect all four, only two and then the horn will work in all positions. Because the the chip will be flipped you need to connect the wires from the left to the right buttons and The wires from the right to the left buttons. The same thing you must do for the wires that come from the paddle shifters. I had to lengthen these wires. Now everything works fine, all buttons, illumination, the paddle shifters even if my old Sw didn't have them. It took me about 3 hours to do this. Last edited by robyc1982; 10-14-2014 at 06:52 AM. I do not think what you did will work on my end as I am not changing my airbag. 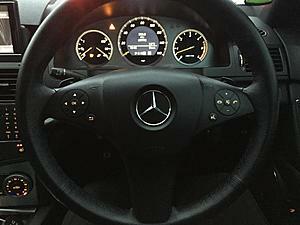 Basically I am changing the steering wheel with the old AMG steering wheel but keeping the old airbag. 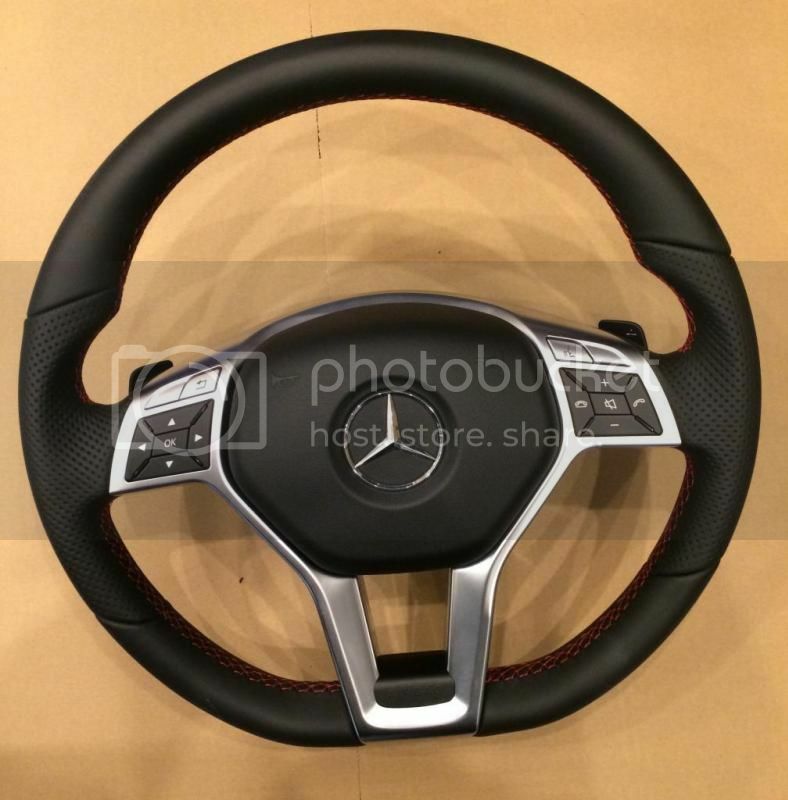 The steering wheel will still look like the old version but with the paddle shifter in place. Star can see the paddles working for both left and right but somehow something is blocking it in letting the transmission know that I have the paddle shifter. Then you must make sure your old chip has paddles support (other 4 pins on the chip). If it doesn't, then you have to do the chip swap. 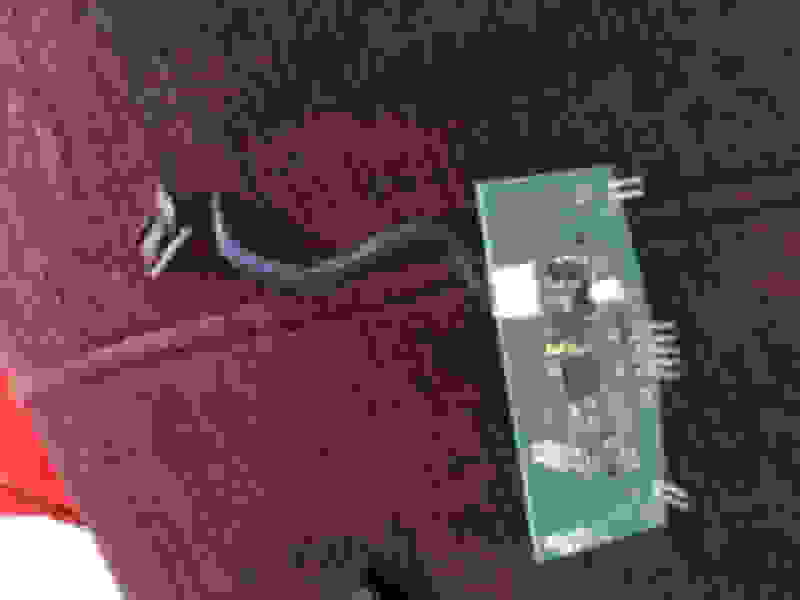 can the whole board be swapped or do you have to unsolder the chip and put the chip on the new board ? The whole board should be swapped, you don't need to take out the chip from the board since only the chip on the new board probably won't work. do you know if the " whole board " will go straight in and i will just have to cut abit of the plastic away like above ? 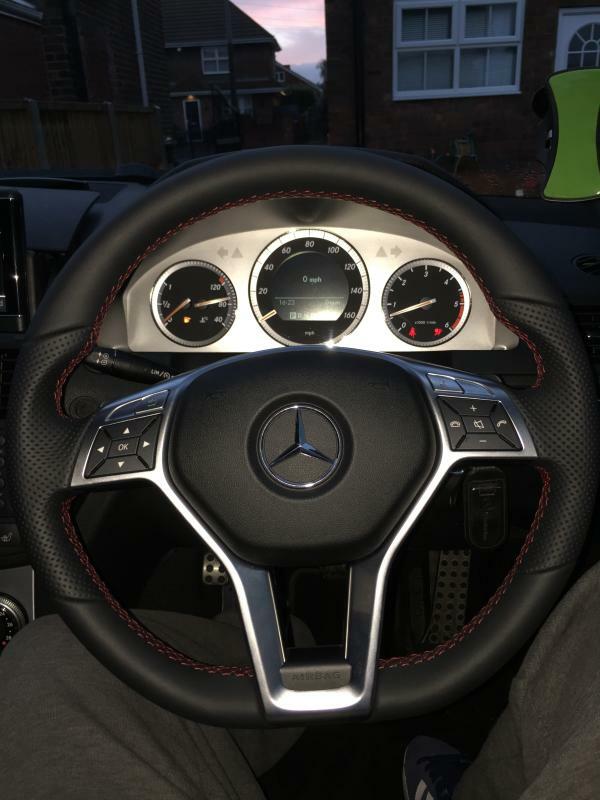 Your old steering wheel is 3 spoke so you might be lucky enough to fit it as is . Mine was 4 spoke and I had to cut the plastic a bit. 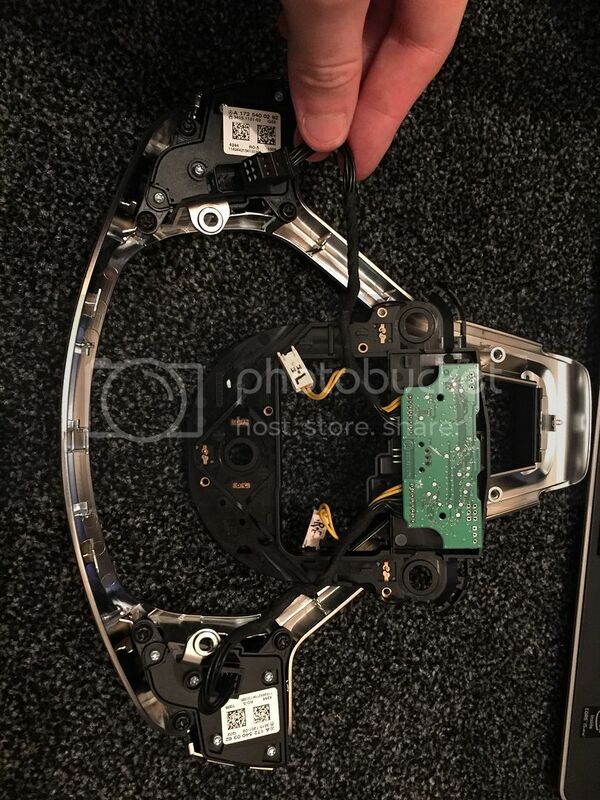 Just to confirm my old wheel already has paddles so will I still have to swap the chip ? is that in order for everything to work correct. if I plug the new steering wheel with the new chip and it doesn't work can I just simply remove and swap the chip or will I have to clear error codes or anything first ? 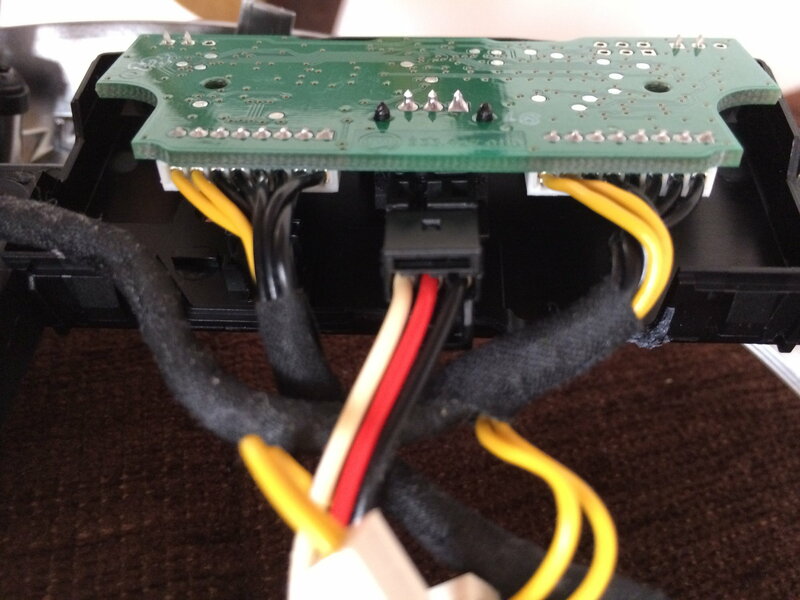 The wires for the steering controls dont fit ? the new plug is green the old are black ? 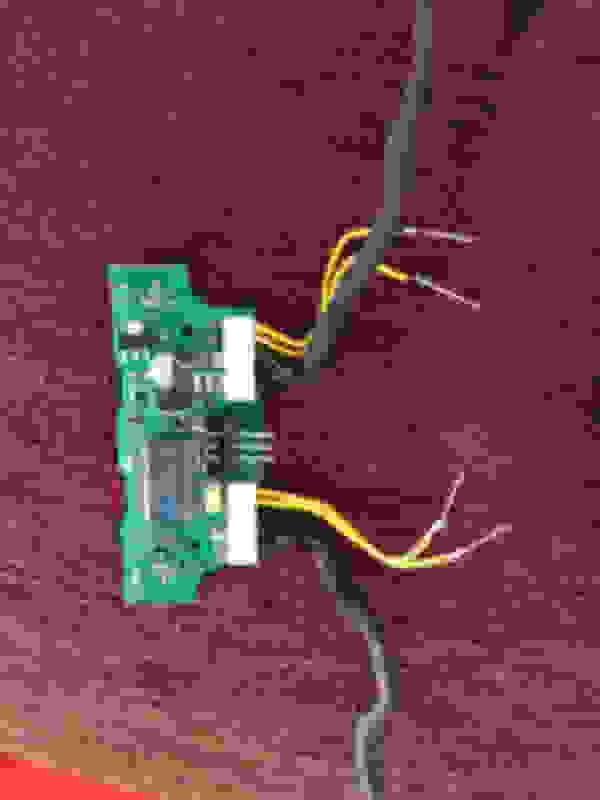 One of the connectors will fit, and the other one you must cut a small "bumb" in order to fit. I have a glk with the paddle shifter on it. You guys think if I swap the air bag with my no paddle shifter c-class it will work? I really want to get those paddle shifter working on my car. Now lets assume it will work what do I need to find and where online? Can you acquire just the chip? 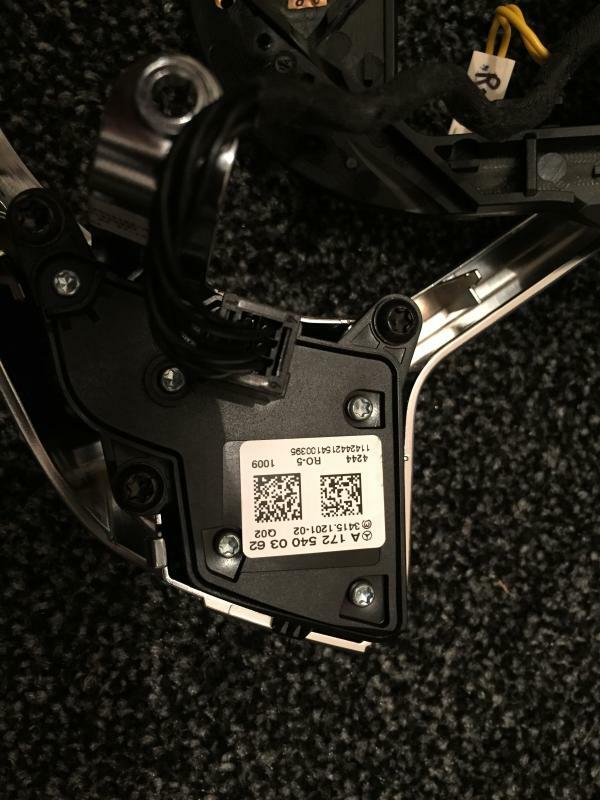 If yes what is the part number. 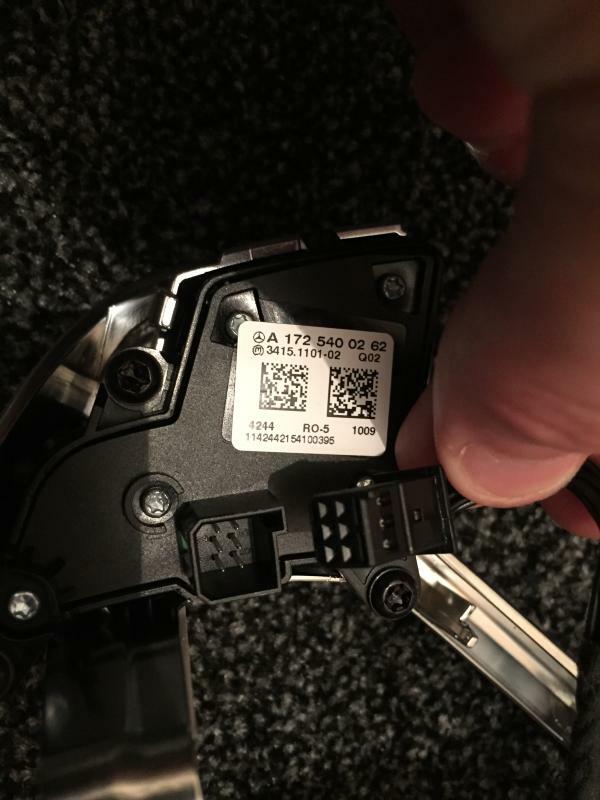 Did you reused your old chip? 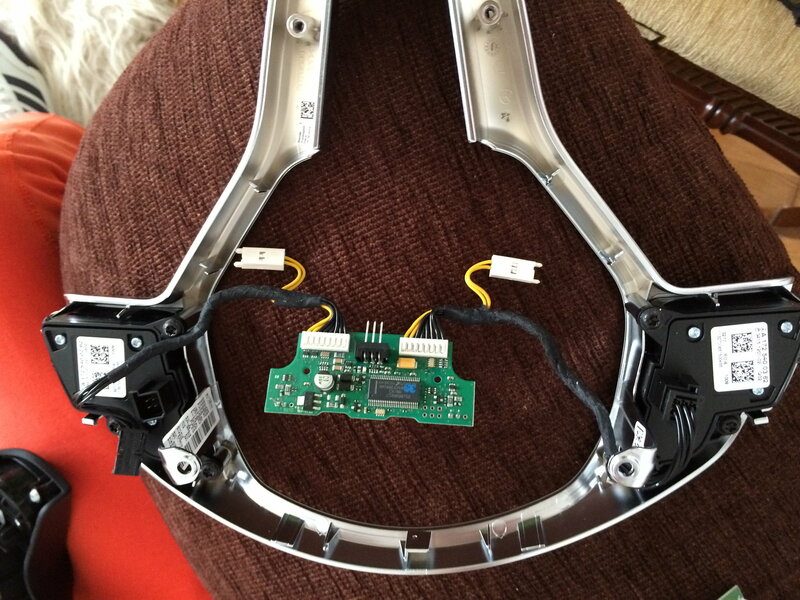 The old steering wheel you have is what I am trying to make it work and just curious if you still have the old chip. Last edited by shotgun_banjo; 11-08-2014 at 12:43 PM. 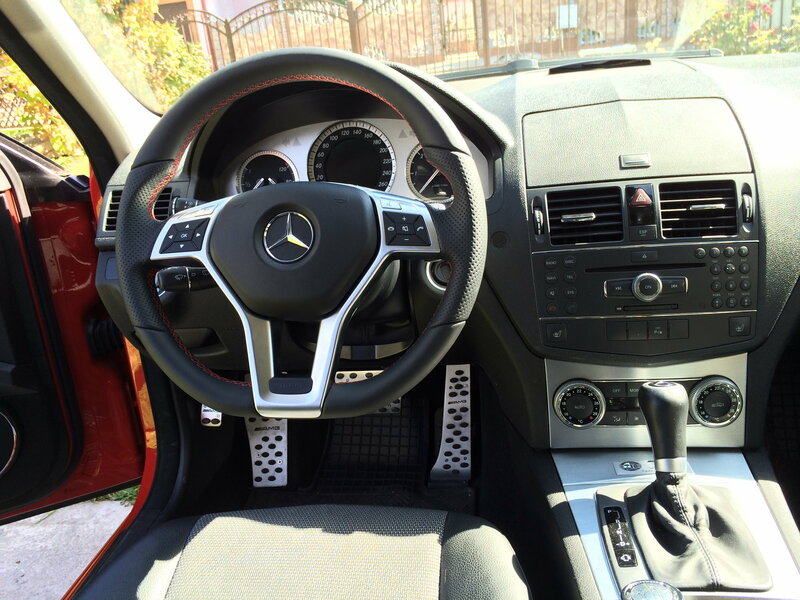 I swapped my GLK enabled paddle shifter steering airbag to my c-class and it did not work. Then I swapped the steering column module as well and no dice. So the chip swap is not really that accurate and something is keeping the paddles from not working. I did saw this post regarding reprogramming but not sure if this will work or not and I do not have access to a star system. Where can I get this star diag. or is someone in canada is willing to loan me his and I will pay for the shipping. Hi shotgun, I reused the old chip and I did some modifications as well. 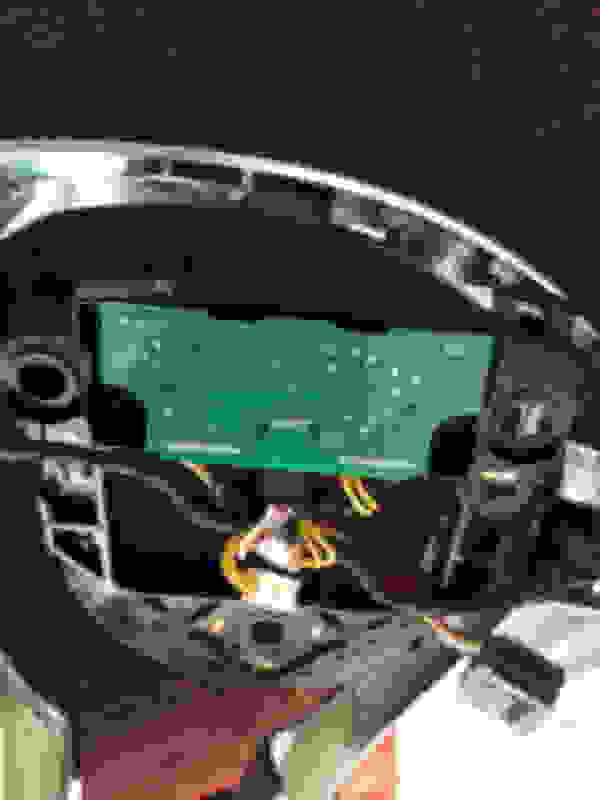 There are a lot of steering wheel models out there and many different chips. It seems like each year MB changed something here which makes it difficult for some car models to upgrade to a new steering wheel. If you can send some pictures of the old wheel and chip and the new ones, I might give you some advice. robyc1982 - would just like to say thanks so much for the guide and helping me out via PM - really appreciated !! 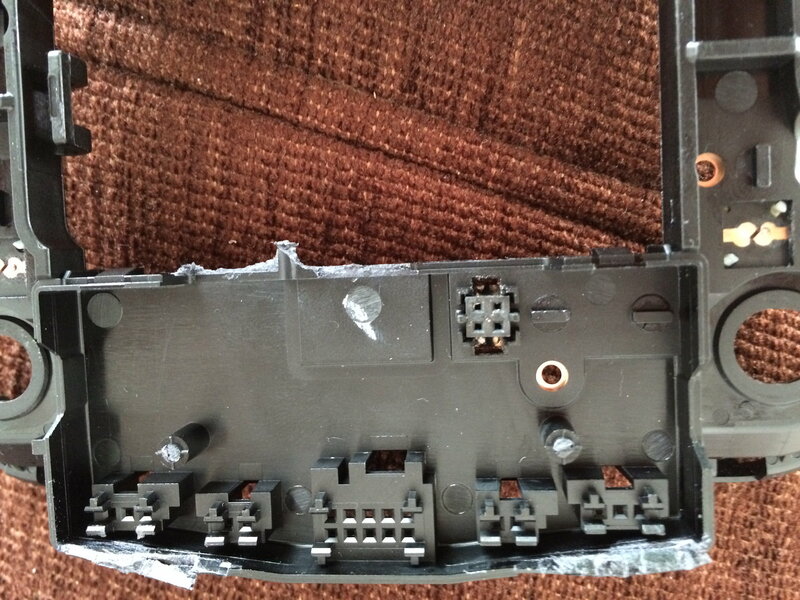 Can you advise where the 2 yellow horn pins are bonded to the new steering wheel plastic plate.